first was oddly for the 5pax vegetarian dinner for my wife’s friends (which she does meditation with) on 12.4.2016.
i made a 4-course all vegetarian meal. wife thought we should add some protein since only 1 person is vegetarian. 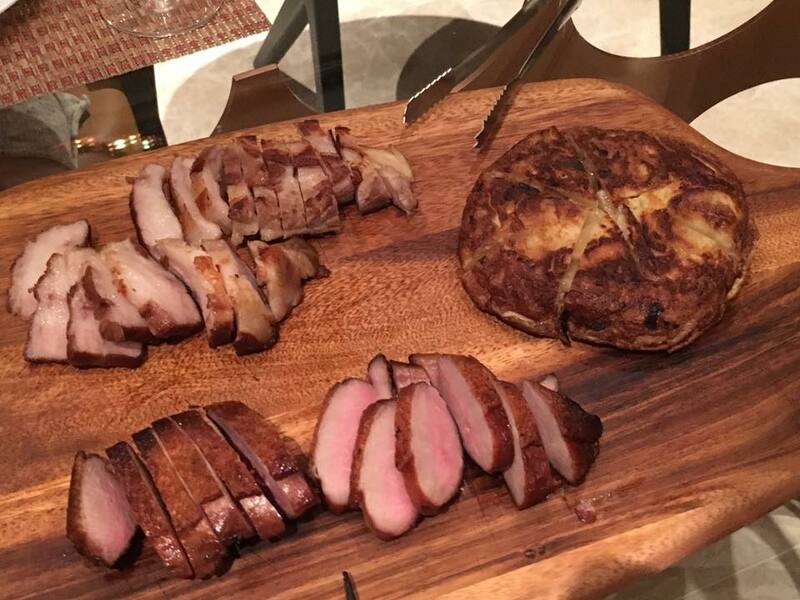 so i made a mock kurobuta & a medium rare tea smoked duck. i do a good carnard a l’orange (duck in orange sauce) too. 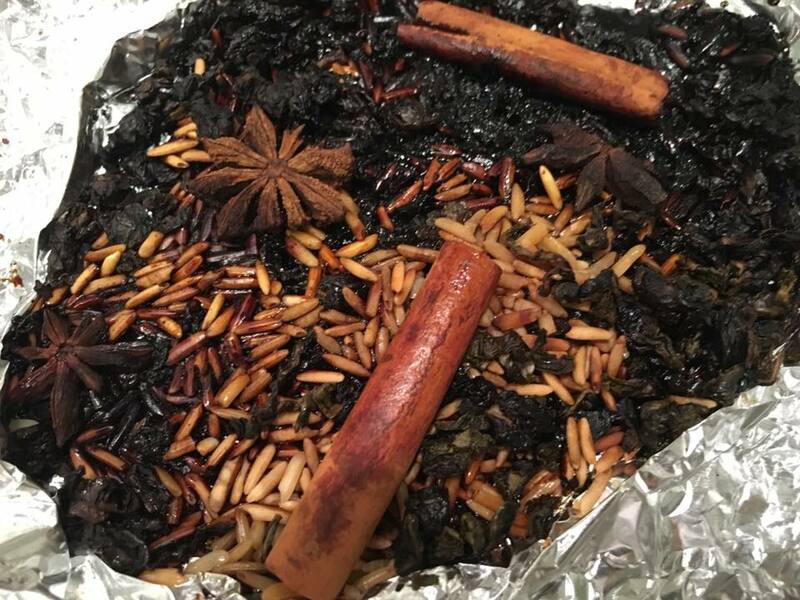 that though was a different recipe & not smoked. 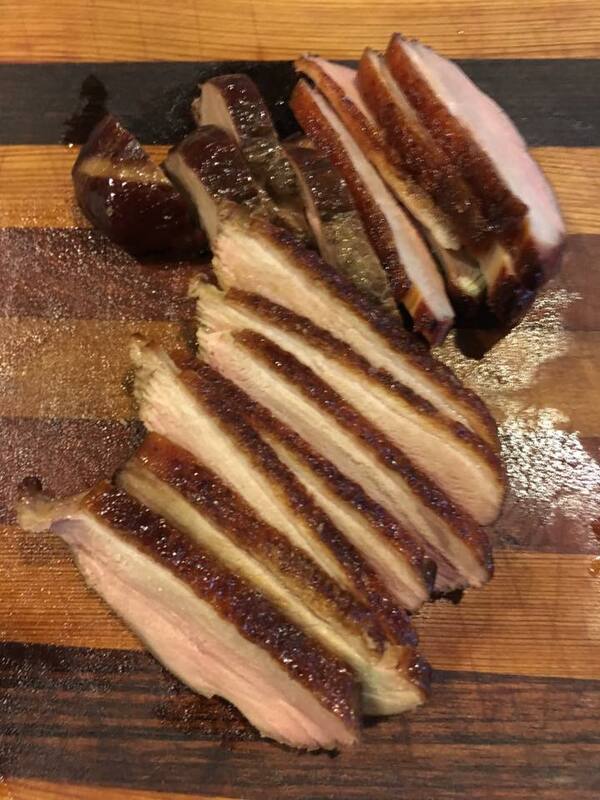 i also did a tea smoked duck fettucine previously but that time the breast was kind of too well done. aroma was excellent during smoking & afterwards. 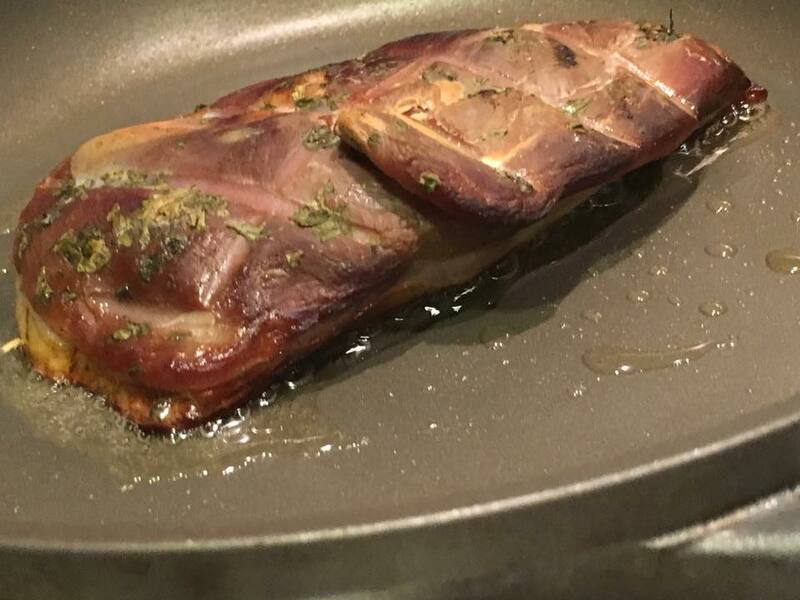 i used gordon ramsay’s cold pan method. 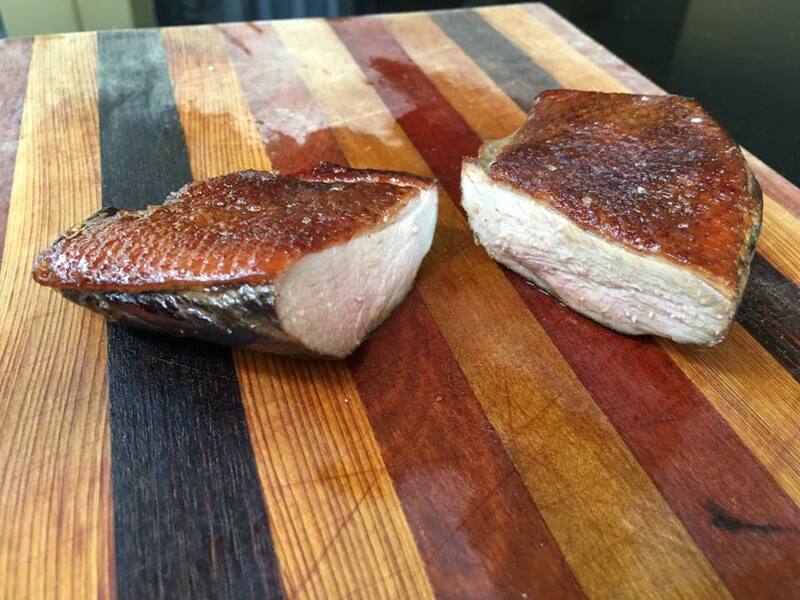 place the smoked duck breast skin down on a cold non-stick pan w/o any oil & start low fire. what it does is that the heat has time to slowly rendered out the fat. when fat is almost totally rendered out the skin is then able to crackle. 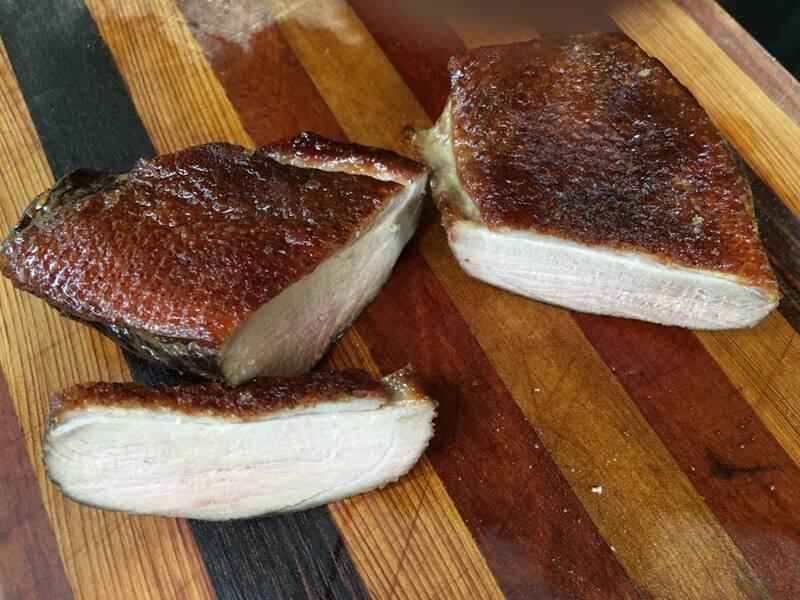 (sprinkle sea salt & black pepper over the duck breast & add herbs if desired). 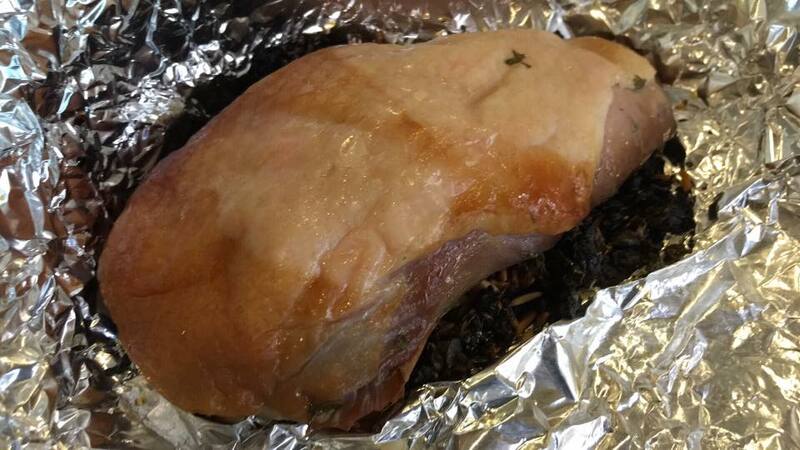 the fat was almost totally rendered out, leaving just a thin skin so it could crackle. 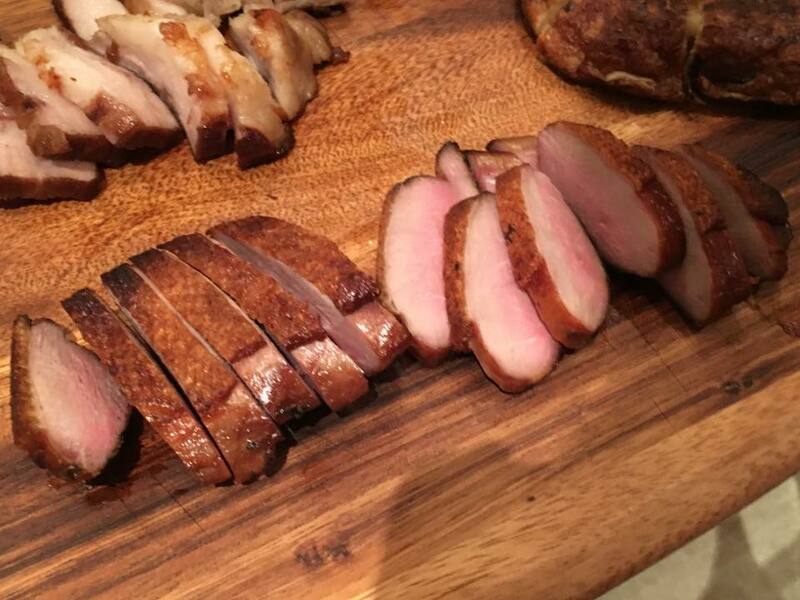 now let the duck rest for 10mins. & it was easy to cut. place skin down & cut through to the skin. 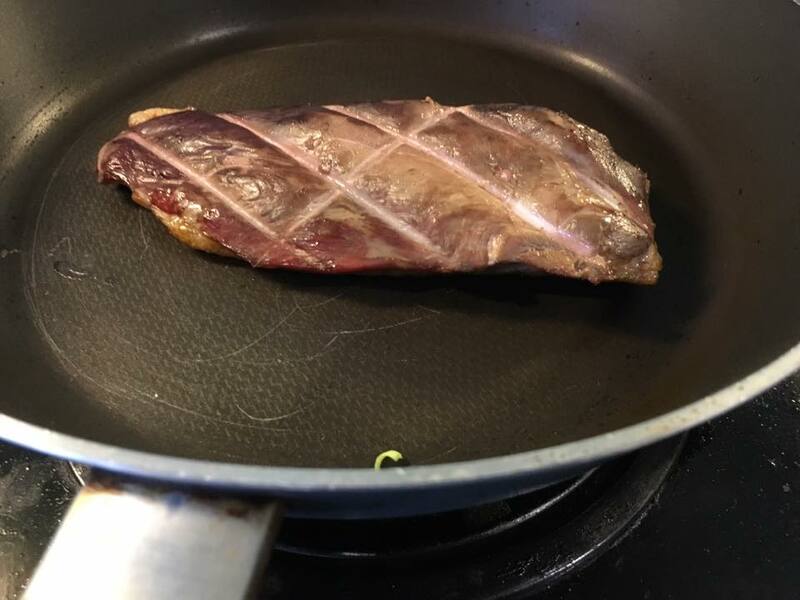 i personally like the medium rare better (top & above photos). and i was able also to cut easily with skin side up as i was cutting thicker slices that time. it’s a wonderful dish. smokey tea flavours, crispy skin & tender, moist medium rare meat. quite excellent. 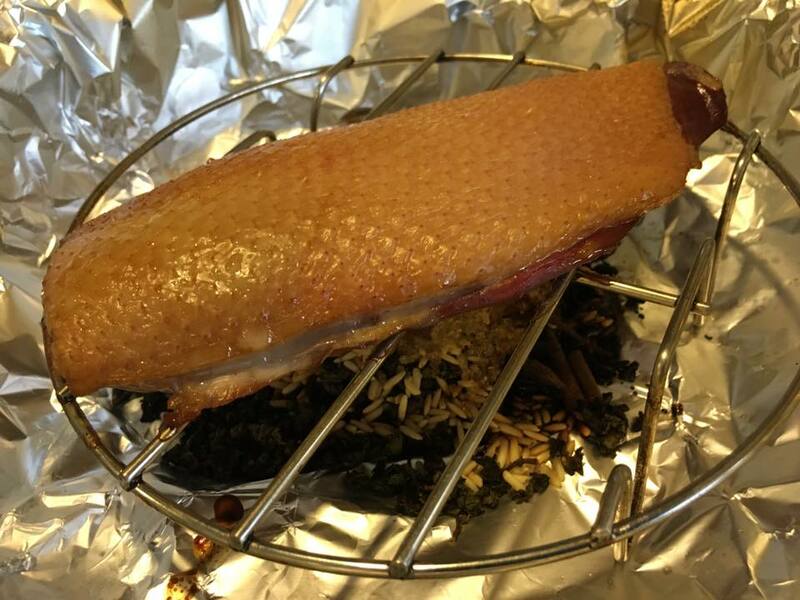 it was good experiment for me, lots of fun, though personally i may not usually want to spend the time doing the smoking. it works for small family meals & maybe with just 4 or 5 friends, not so convenient for large group – would be tedious & take the fun out of it. 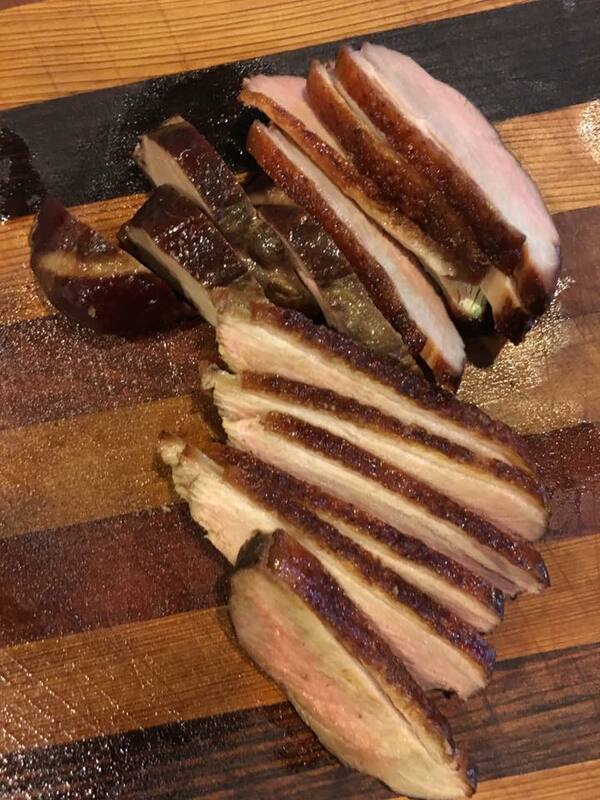 This entry was posted in Recipes and tagged carnard a l'orange, cinnamon bark, cloves, duck in orange sauce, gordon ramsay's cold pan method, medium rare, mock kurobuta, star anise, tea smoked duck breast, vegetarian. Bookmark the permalink.